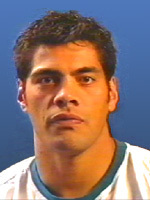 Green missed the last match against the Rabbitohs with a groin injury suffered in the warm-up. Interestingly coach Stephen Kearney has decided against naming specialist halves cover in his 21 with Adam Keighran missing out again. Peta Hiku was a last minute stand-in for the loss to the Rabbitohs. Kearney says Green, who didn't train today, is a maybe. Nathaniel Roache is on the extended interchange for what could be his first match since round one when he suffered a leg injury.